An aftercooler ensures that the temperature of the compressed air is reduced when it is released from the compressor. Aftercoolers are normally fitted as standard with our air compressors but now there are versions that are extended with an (additional) air-cooled aftercooler. Looking for a suitable aftercooler for your compressed air installation, or do you want to know which compressor is best suits your requirements. If so, Contact the specialists of Laco Air Solutions today! 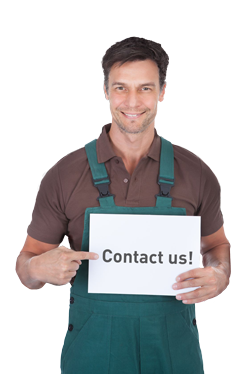 Ask our compressed air specialists today for detailed information. Want to always be guaranteed high quality compressed air? With the Laco Air Solutions Service & Maintenance contract, your aftercooler and any other possible parts of the compressed air installation will be provided with systematic maintenance. Our highly trained service and installation technicians are able to timely observe changes in the use of compressed air. In this way, you can prevent malfunctions and loss of quality. Read more about all the advantages here! WANT TO KNOW MORE ABOUT AFTERCOOLERS AND THEIR APPLICATIONS? Would you like more information on our product range? Then contact one of our specialists today, they will quickly provide you with all the detailed information you require!